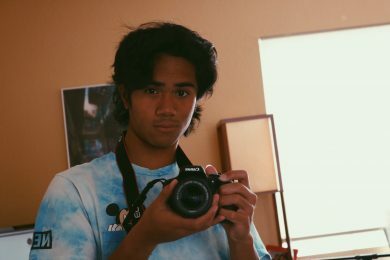 Over the course of this week, FIRE will be featuring the winning essays from our 2017–2018 Free Speech Essay Contest, beginning with third-place winner Daniel Garcia of Aliso Niguel High School in Aliso Viejo, California. His essay is below. Harvey Silverglate, co-founder of the Foundation for Individual Rights in Education, once said: “Harvard’s idea of diversity is for everybody to look different and think alike.” His message is not a solitary criticism of an Ivy-league establishment, but rather a forewarning about the current efforts to dismantle free speech in colleges across the nation. Two years after the ratification of the Constitution, the Founding Fathers felt it necessary to give to the people a set of protections known as the Bill of Rights. In light of the recent departure from an authoritarian government, the first amendment they added protected two of the most important freedoms necessary for a free society: speech and religion. Since then, the words “freedom of speech” have echoed throughout our nation’s history. It was what allowed the once “radical” abolitionists to publish pamphlets advocating the end of slavery. It was what allowed so many to speak for women’s suffrage at Seneca Falls. It was what allowed a rising African-American activist, Martin Luther King Jr., to write his revered letter from Birmingham Jail. But sadly, this freedom is being abridged in ways our Founding Fathers would have never imagined. Fifty years ago, UC Berkeley stood at the forefront of the Free Speech Movement during a tumultuous political era. It sparked a nationwide advance towards open political discussion and the free exchange of contrasting ideas on college campuses. Half a century later that same campus has become a rallying point against the very movement it once championed. In response to alt-right affiliate and Trump supporter Milo Yiannopoulos arriving on campus, mobs of students and protesters alike began throwing rocks, breaking glass, and starting fires, forcing his speech to be cancelled. In response to those events, influential figures connected to organizations deemed too “dangerous” to bring into universities were blocked from speaking, a trend that only continues to gain traction. Higher education’s intolerance to different viewpoints has sacrificed so many valuable voices and perspectives at the altar of political correctness, while only fortifying the echo chamber that exists in today’s academic institutions. To quell these riots in times of such high political tension, many college administrations have resorted to the simple workaround of creating free speech zones on campus. In areas outside these zones the First Amendment appears invalidated, bypassed, even nonexistent. It seeks to address the issue of violence arising from controversial speech by simply limiting the areas where diverse perspectives can be heard. Proponents of these free speech zones believe that controversial dialogue can make students “uncomfortable.” Jacob Riis’ exposé of horrendous working conditions in the late 19th century made people uncomfortable. Martin Luther King Jr.’s words made people uncomfortable. Abraham Lincoln’s convictions made half of the country, lightly put, uncomfortable, prompting the bloodiest war in American history. Yet the potential of their words to make their opponents feel “uncomfortable” did not invalidate the messages they had to share. Obstructing the natural course of controversial speech to the ears of the next generation will pay a great disservice to the influential figures that shaped our nation’s history. If the mission of so many colleges is to prepare students to take on the real world, then the suppression of free speech draws them away from that goal. The world is full of controversial opinions. To think that the next generation of world leaders would harmoniously agree on everything is naïve. Turning our bastions of higher education into cradles of political correctness that shelter students from free thought and discourse would leave graduates less prepared for the world than when they had entered. Although the goal of college administrations is to protect their students, it should not be at the expense of their Constitutional rights. A generation protected from the smallest hint of disagreement will be unable to carry out the debate and discussion necessary to maintain a democracy. A free society requires free thought. If speech is to become an item simply to regulate and suppress as seen fit, how else could the vast “marketplace of ideas” be shared? Speech is the gateway to our thoughts, and reducing free speech will only internalize the great amount of perspectives and ideas that we as members of a democratic nation are obliged to share. Through the countless examples of civil disobedience around the world from Robespierre to Gandhi to Mandela, it has been proven time and time again that change does not come from the suppression of thought, but rather the outpouring of it. The great advancements towards equality in our nation’s history and around the world did not come from politely chosen words and phrases, they came straight from the most controversial debates of the day. Free speech on college campuses can flourish once again, but it requires change in the attitudes of both the school administrations and their students. Free speech is the foundation of diversity, a term that so many schools pretend to pursue, but in reality squash at every turn. Administrators must understand that the installation of “free speech zones” are only temporary suppressions of controversial speech that students will inevitably hear once they leave campus. Visitors to academic institutions who seek to voice their opinions and interact with students should be welcomed, not overlooked. Their presence is what keeps diverse opinions, the raw ingredients for discussion, alive and breathing on college campuses. On the other hand, students must become more open to ideas they disagree with. The term “offensive” has, in recent times, become a word thrown around merely to avoid open debate and discourse. Those in college as well as future students must embrace different opinions not just so they better understand others, but also to better understand themselves. But perhaps the easiest place to look for a template for change is the past. So much of our nation’s rich history and the fight for a freer society have hinged on controversial people and ideas. Their testaments to a better world shall not, and will not, end where the “real world” begins.